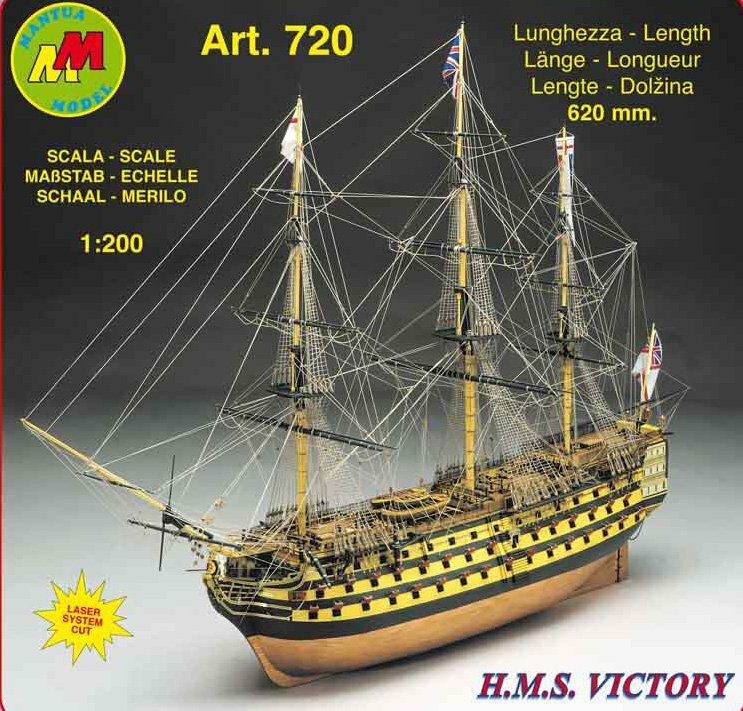 Victory 720, Scale 1:200, Length 500 mm. This new victory kit, the fourth in the victory range, offers a splendid kit in a size that will grace any room with ease. It has all the latest laser cutting & etching including all the gun ports, decking and gratings, all being pre cut plywood. We have included in the kit the wooden/copper coloured laser sheet for a more realistic finish.